It is hard to believe that we are in the final weeks of summer vacation and fall school routines will begin soon in my area. Gosh…summer is going by way too quickly. As I begin to think about this shift in schedule I anticipate the quick meals that will need to be on the table so everyone can rush off to their activities. 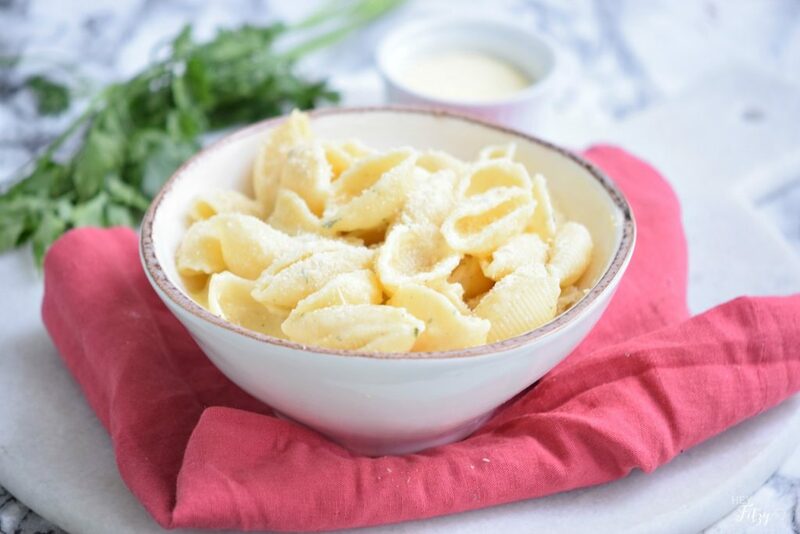 My recipe for light and easy pasta is a sure win for those busy evenings. 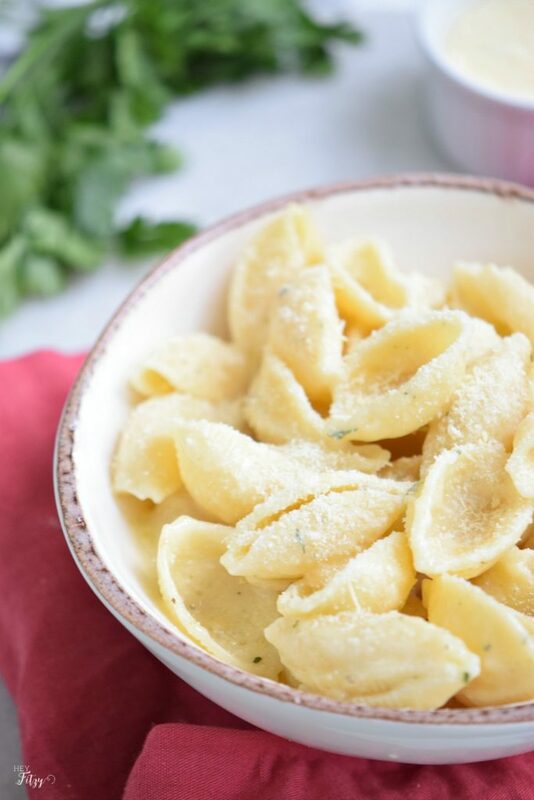 With just a few simple ingredients, I can have this light and easy pasta recipe on the table in no time. 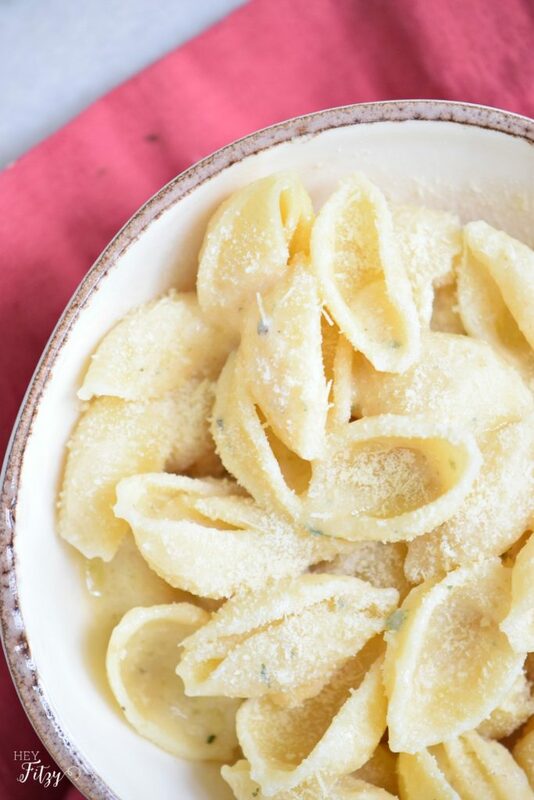 In less than 20 minutes this pasta recipe is on the table. This is perfect for those busy school nights. I am constantly on the look out for fast and easy recipes that I can whip together in a flash. No body has time to spend hours in the kitchen anymore. Even when I find a great recipe, I am always looking for easy ways to modify the recipe to make it faster and easier. This can be difficult to do when you are trying to eat on the healthier side. Often with convenience comes lots of other yucky stuff that isn’t good for ya. 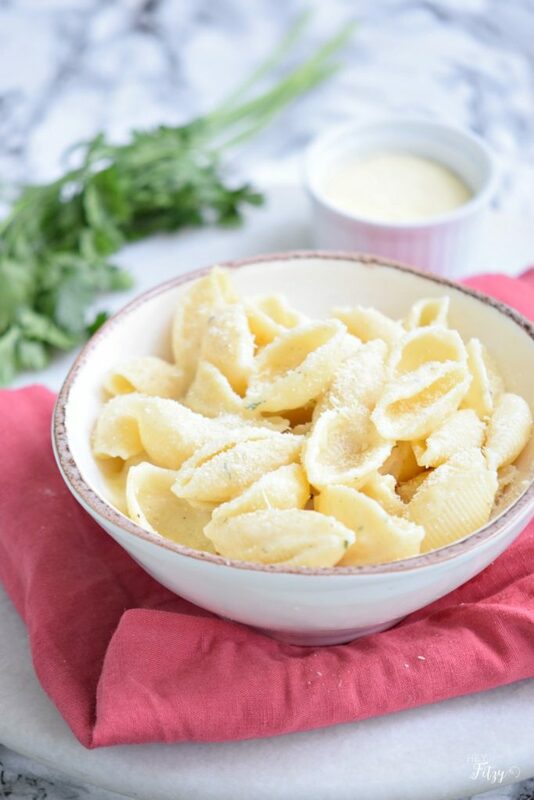 My oldest daughter is not a fan of red sauce so this pasta recipe is a great alternative that is a win with all the kiddos. In a pot with water over medium heat, add the bay leaves, rosemary sprig, and salt. While waiting for the pasta, add the olive oil and garlic to a pan over medium heat and cook until fragrant. Once the pasta is al dente, drain the water, and discard the herbs. Transfer to a bowl, add the olive oil and garlic and half the Parmigiano-Reggiano. Stir to combine. Serve, add the remaining Parmigiano-Reggiano and enjoy. Add some heavy cream for a quick variation. I am sharing this fun recipe as part of The Spectacular Summer Blog Hop. Click the links below to show some love and check out what my other blogging friends are working on this summer. Nice to "meet" you from Janine's blog. Sometimes I don't want the acidity of a red sauce as well, so this sounds very appealing. It would be a great side dish for any protein as well. Happy summer, and wishing safety for your son in Japan! 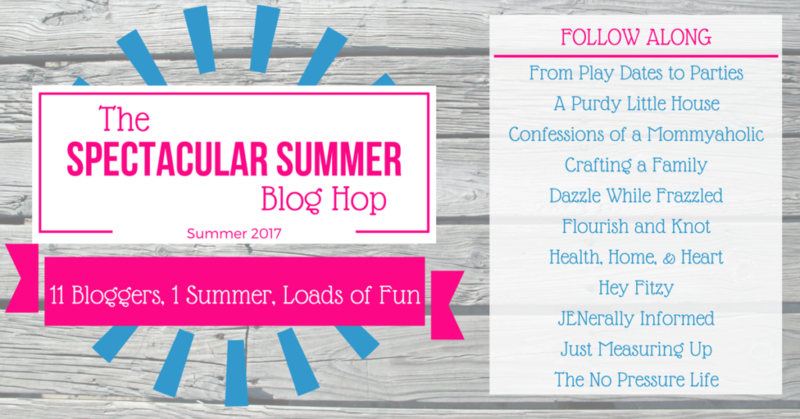 Hi Seana, Thank you for stopping by as part of The Spectacular Summer Blog Hop. We like to add a little chicken or even shrimp to give this easy recipe a little twist. Hope you enjoy it! And thank you for the kind words for my son! Oh yes! I love to do this same thing with angel hair pasta. Delicious!! Hi Stacey, I like to switch it up with different noodles. Still quick and easy every time. Thank you for stopping by! I'm am so glad to find this recipe. My family is going to love this! I like that you can prepare this recipe quicker than going through a drive through. Hi Sherry! I couldn't agree more! So much better than the drive through! 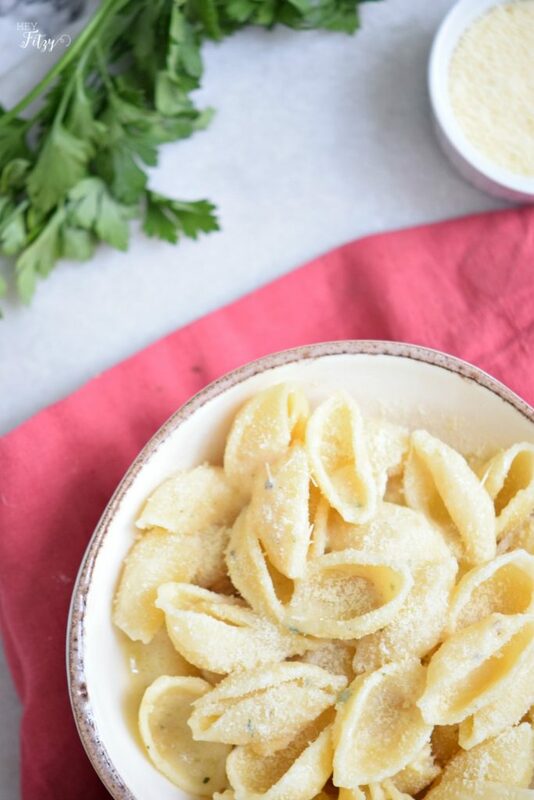 Thank you for stopping by to check out my pasta recipe. I hope you enjoy it as much as my family does. It is easy to make and every one loves it. That is a win-win for me! Hope you have a great week!